Lindsay de Feliz walked away from an enviable lifestyle – marriage, successful career, expensive holidays, designer clothes, fast cars – to pursue her dream of being a SCUBA diving instructor. She could not have predicted the journey ahead when she arrived in the heat, sunshine and vibrant culture of the Dominican Republic. She found love, a ready-made family and – despite being shot in a bungled robbery – a desire to help the Dominican people, many living in abject poverty. She supported her husband as he ran for political office and with Lindsay by his side they were a formidable team. As the campaign gathered momentum, they learnt the hard way what happens when you oppose those in power. Fighting corruption, double-dealing and with their lives at risk, they were forced into hiding. Their incredible story is stranger than fiction and twice as menacing. The dark underbelly of the Dominican Republic is exposed, from the tourist beaches to the soaring mountains of the interior. Lindsay tells it how it is, but in the telling her deep love for the Dominican Republic, its culture and its people shines through. 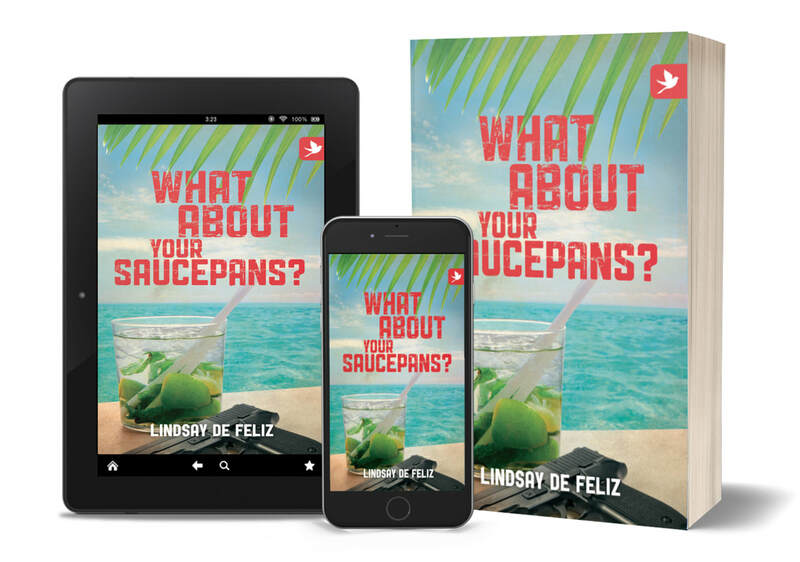 Despite the incredible setbacks she has faced, Lindsay’s love and loyalty for her adopted country radiate through this entertaining chronicle of her eventful life in the DR.
What About Your Saucepans? is not only essential reading for anyone moving to the Dominican Republic, it’s also a damn good read. Lindsay de Feliz’s fight against political corruption, being shot and almost losing everything is one of the most inspiring expat stories I have ever read. Don't miss Act Two, Life After My Saucepans.